Renault Electric Vehicles are the biggest selling electric vehicle (or zero emissions vehicles) in Europe. We have trained EV technicians and EV tooling to safely service, repair and maintain your Electric Vehicle.There are two types of service's which Renault cars registered after 2012 need, A and B, which are due on specific intervals. We visually check your brake discs and pads every time your Renault comes to our workshop for servicing, MOT, repair, warranty or diagnostic work. On a service we also measure the actual thickness of the brake discs and pads, comparing that to the Renault minimum thickness standard, to advise you on the wear and replacement interval to keep you safe on the road. Book your FREE brake safety check today. When an air conditioning system is in good condition, it also ensures a healthy interior. Air conditioning demists, controls the atmosphere in your cabin and cleans the air with a special anti-allergen filter patented by Renault. 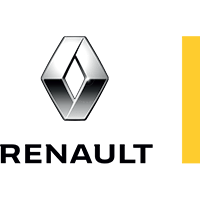 At Renault the MOT is part of our daily routine carried out using our Renault trained technicians, often while you wait, with access to our free WIFI, newspapers, tea and coffee. Why not get your car serviced at the same time and maintain the Main Dealer service history? Booking an MOT and Service together saves you time, inconvenience and gives you a total piece of mind for road-worthiness, safety reliability of your vehicle and could save you future repair costs.